The Mossimo Music Summit 2015 is on! - Hello! Welcome to my blog! Signaling the start of this year's search for the country's best and brightest solo and band singers/performers, Mossimo and Curve Entertainment recently inked a deal for this year's holding of the Mossimo Music Summit 2015. Both companies were represented during the contract-signing by (seated from left): Marex Gaba, Event Director; Adamson Bactat, Mossimo/Promark Industries Inc. VP Business Development; Narciso Chan, Curve Entertainment CEO; (standing from left) Mario Joson, Curve Entertainment VP Business Development; Magnolia David, Mossimo/Promark Industries Inc. Marketing Director; and Vic Valenciano, Curve Entertainment VP Artist & Repertoire. 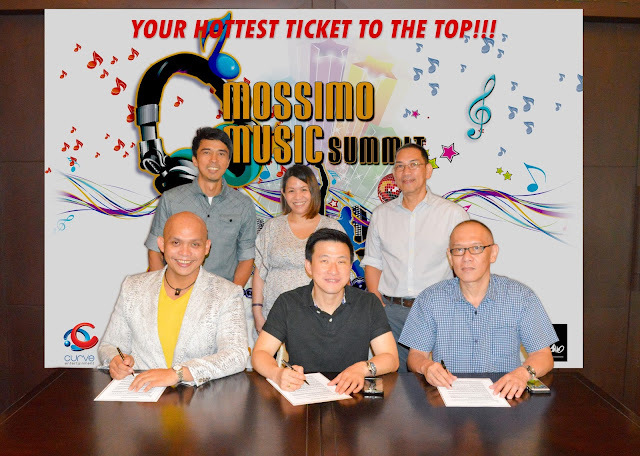 The Mossimo Music Summit 2015 is a great chance for hopeful singers and bands to become the newest singing sensation in the country. 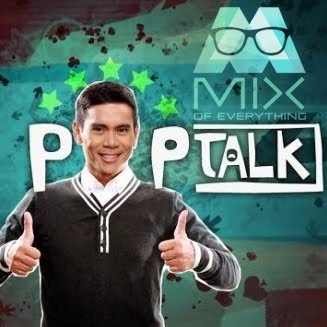 Winners can receive over 1 million pesos in cash and prizes plus a recording and management contract. The competition is open to individuals, duos, and groups of 3-6 members male/female or mixed, Filipino citizens, 18-30 years old, and must not have any existing contract with any record label and should not have commercially released any recording in the past.Live auditions will be held at Bluelight Studios (2F Forab Bldg., Kamuning Road, Quezon City) on July 9 & 10, 2015 from 1:00 PM until 5:00 PM. Online auditions will be accepted from July 1-12, 2015 and can be sent via private message to www.facebook.com/mossimomusicsummit in any video format. Youtube links to performances will also be accepted. Log-on to www.facebook.com/mossimomusicsummit for more details about the competition.